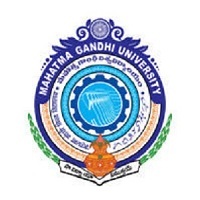 MGU Degree Notification 2019: Mahatma Gandhi University Degree 1st, 2nd, 3rd, 4th, 5th, 6th Semester (CBCS) Exam Fee Notification April/May 2019 released at www.mguniversity.in. B.A./ B.Com./B.Sc. I, II,III,IV,V, VI REGULAR / BACKLOG / IMPROVEMENT– SEMESTER EXAMINATION-2019. B. B. A. – I, II, III & IV REGULAR /BACKLOG /IMPROVEMENT–SEMESTER EXAMINATION -2019. To Students : Payment of Examinations fee and submission of Examination application forms at their respective colleges. Note : 1. The exact date of commencement of the Examinations and detailed time table will be notified in due course. 2. The Examination application forms of students are to be submitted online through college login. Also, hardcopy of the same may be downloaded and submitted to the examination branch duly signed by the student and the Principal concerned along with photocopy of Qualifying Examination.